"Micro-housing" was the topic of Monday's city council work session. The goal—to start to set a context and common understanding of what the terms are related to micro-housing with the hope to get a sense of where council wants to go with this. This post summarizes key points and takeaways from the session. It began with a presentation by city staff. Micro-housing was defined to include tiny houses, cluster housing (tiny house village), congregate housing (i.e. SRO's), and micro-apartments. 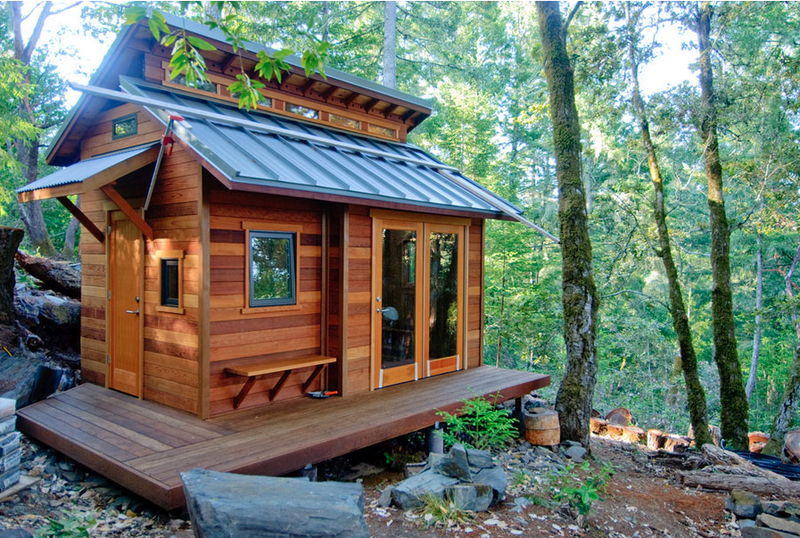 "There’s nothing in the building code that prohibits a tiny house." "The building codes seldom prohibit design elements and instead establishes minimum standards. Many tiny house designs incorporate specific elements that them themselves have code challenges—such as ladder access to a sleeping loft or the size of a bathroom. For that reason they are often made mobile by putting them on wheels to avoid being subject to building code. This probably is the cause of the misconception that the tiny house can’t meet the building code requirements." Additional regulations regarding density and lot coverage may also apply when micro-housing is being considered. 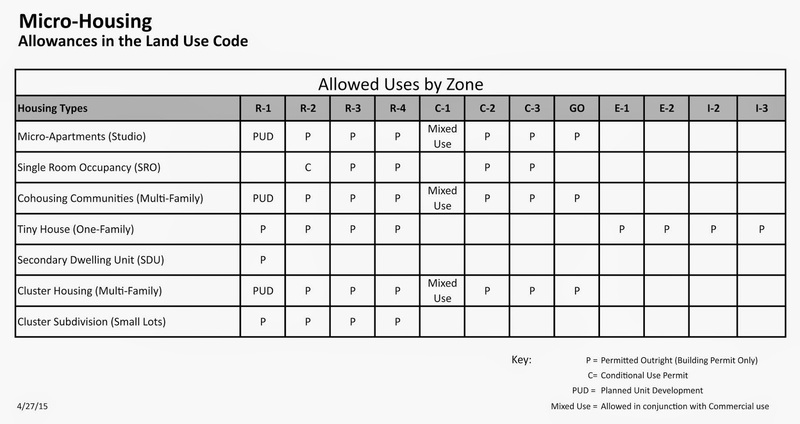 However, there are still several legal avenues to develop various forms of micro-housing within the existing land use code, as illustrated by the chart below. Building and Energy (Objective 2.2a): Revise or expand incentives to encourage smaller homes that require less energy to operate and fewer building materials to construct. Sustainable Development: A community that meets its present environmental, economic and social needs without compromising the ability of future generations to meet their own needs. Councilor Greg Evans: "I’m really excited about this because this provides a tremendous opportunity for people who are living at the lower ends of our affordability spectrum... it gives them a type of freedom and privacy that before has not been available in terms of dwelling units… what this brings up for me is a way towards homeownership that I could see as being more of a long-term solution than what is suggested as rental units…. If people have investment in the property, they’re more likely to keep that property up, to self-manage and self-govern…"
Councilor Alan Zelenka: "When I proposed this work session I wasn’t really thinking of it necessarily as only a low-income type program... There is a multitude of types, reasons, and ownership structures… and different variations of it all over the world.. but it was inspired by Opportunity Village and it does provide the option of housing that is much more affordable than the traditional single-family house." Question around what’s the definition of house? 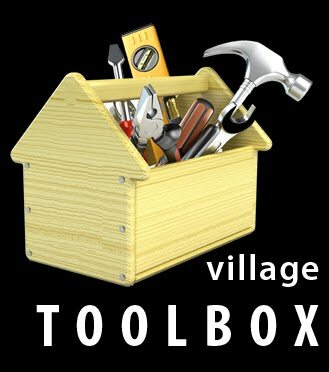 Staff response: the village concept (with shared common facilities) is similar to an SRO. But definition of SRO says at least 9 bedrooms within a building… Would have to change the definition of an SRO to allow them to not be within the same building ("to replicate what OVE has done you would have to change that definition")..
Councilor Chris Pryor: "This is a topic that has really been of interest to me for awhile now… One of the real ‘ahha’ moments for me, was to realize that many of the issues that I though were obstacles actually are not. We are much closer to being able to have tiny housing than I had originally thought. And I approach tiny housing not for any one purpose but for a multitude of purposes—it can meet many different needs—whether you're building one in your backyard or your building an actual subdivision or cluster of them." "Opportunity Village is one of the steps in getting to an Emerald Village—which would be tiny housing because it would have kitchen and bathroom facilities—and would not only have the opportunity for rental but also for homeownership. We want to move from shelter to rental to ownership—some of those leaps are enormous and a lot of people can’t get over those. But to have a tiny house option, which you could finance if you could get the price down… its within the realm of a car purchase. It provides the opportunity for people who could never save for a home, to save for a home." "I could see these in developments like Emerald Village, which I think is a tremendous idea—the next growth opportunity for this kind of idea. But also as things that could be built in people’s backyards as a way to achieve density without creating destruction of neighborhood livability. I’ve been very sensitive to the fact that sometimes the only opportunity people see for creating density in their neighborhoods is building apartment buildings, and I wouldn’t want that in my backyard either… But if you could have a tiny house option to create density in backyards, now we’re starting to talk about ways to create additional capacity without destroying neighborhood livability. And I know that it’s already occurring. So its not an idea that has come, it’s an idea that has come and gone, and I want to make sure it can be built legally, durably, and appropriately." Councilor Mike Clark: "The single best way for a city to close its income and wealth gap is through homeownership. If we are going to participate in anything that encourages this trend, that we do everything we can do everything we can to encourage that they be owned rather than rented." Mayor Kitty Piercy: "The question is about what you get for your dollars. If you have a certain amount of dollars to build housing, what's the best way to get the best number of units for the people who need it” —brings up tension between small, separate units or attached, apartment like units—which is more cost-effective? "The other issue we have on affordable housing… CDBG is very tight about what they will fund. The rules are very strict on what kind of housing they will allow you to spend their dollars on." Manufactured housing issue—"People feel vulnerable when they don’t own the property that their housing is on, so there may be something where there is public ownership of land, that protects the rights of people so they can have some type of owned units on that land. That gets away from that fear of the owner making a decision that would threaten your property"
Councilor Greg Evans: "I was thinking about modeling or piloting a public/private partnership option with a financial institution… probably this would be more up the alley of a credit union than a traditional bank… this could be one of those new cutting edge products that would be able to be the best of both worlds for a lot of people. Because if we can begin to get people into tiny housing for somewhere between $15k and $25k, give them a chance to create and build equity, and then eventually at some point… they have already modeled a way to go forward with a bigger home… an opportunity to repair some credit issues and some other things… and be able to be an education tool in terms of money management and homeownership." "There are a lot of things that we could get out of this as demonstrable public benefit, and helping people to become much more self-sufficient in a real concrete way. Instead of looking at this as a situation where people are saying we need more affordable housing, and the mindset has always been build apartment buildings and to create rental situations that we’ve seen since the 1930s that hasn’t worked…I think we could really be on the cutting edge of something very big and profound in terms of a psychological community shift in how we do things." Mayor Kitty Piercy: "Emerald Village—they’re struggling with the financial aspect of this, and they’re essentially trying to do a lot of what you’re talking about. If there’s some way we can figure out how we can partner with that, that seems like the logical direction to go." The National Planning Conference was held in Seattle this past week, and as reported by City Lab, affordability and equity were among the most talked about subjects. Attendees packed the room to hear from the planning director of New York and San Francisco on how to make housing more affordable, but they were ultimately left without any quick fix solution to this heavy-weight issue. "The shortfall of affordable housing arguably would take 50 years to fill at the current rate of production in San Francisco—the very frustration expressed by Rahaim. It might take 25 years in New York City. But betting it all on increasing supply is fraught, too. It’s expensive to build in the city, and costlier still to build increased height and density without considering the needed infrastructure to support those kinds of environments." But what about micro-housing? Can’t we make housing more affordable by making in smaller and more efficient? Nowhere has this concept been more readily adopted than Seattle with 780 units cleared for occupancy and 1,598 more units on the way. But this hip alternative has proven not to be an answer in and of itself. This is a very valid point, but not necessarily a dead-end. Micro-housing on its own only suggests a physical change in our housing—from excess to compact. And while this greatly reduces our environmental footprint, the shift does not necessarily correlate economically. For example, a 200 square foot unit in Seattle still goes for $1,000/month. And so the base price for any space at all in a hot market is still unaffordable to a large sector of the population. "At the time, the city allowed up to eight unrelated people to live in one “dwelling” with a shared kitchen. The code didn’t say the rooms had to be tied together as a single unit, so Potter built a cross between an apartment building and a boardinghouse, where someone could rent a sleeping room as small as 100 square feet with a private bath and share a kitchen with up to seven others renters." While this concept may be novel in juxtaposition to today’s limited housing variety, it's really just rebranding the layout of residential hotels—a once popular affordable housing option in the private market that outnumbered the stock of public housing until the 1990’s. 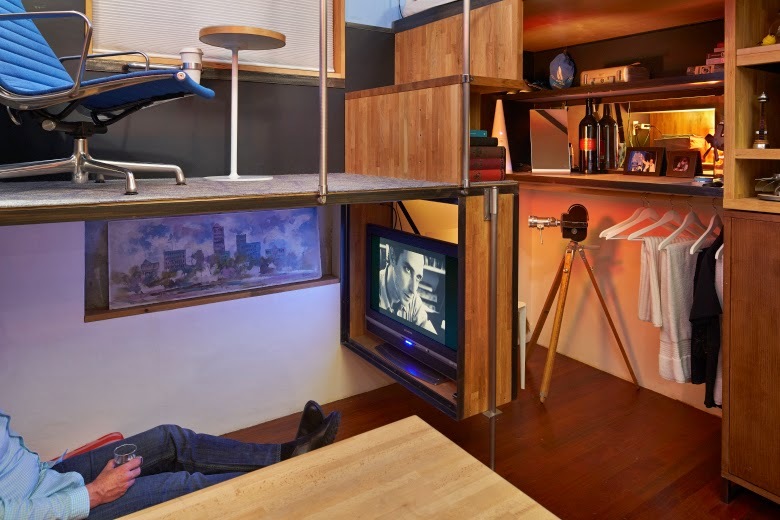 Micro-housing evokes images of smaller apartments within a larger building, whereas tiny house village evokes images of miniature little homes clustered on a common plot of land—again, it’s a physical alteration. But there is also a social dimension to these concepts—the fact that several people are living so close together. Isolated renters will always be at the mercy of the speculative landlord, but if we were to allow neighbors to organize democratically, spreading costs and risks more broadly amongst a group rather than on the shoulders of each individual, that is where we might begin to find truly accessible and sustainable housing. This is where I was intrigued to learn—from the APA conference mentioned above—that both New York and San Francisco are exploring shared equity homeownership models at the municipal level. 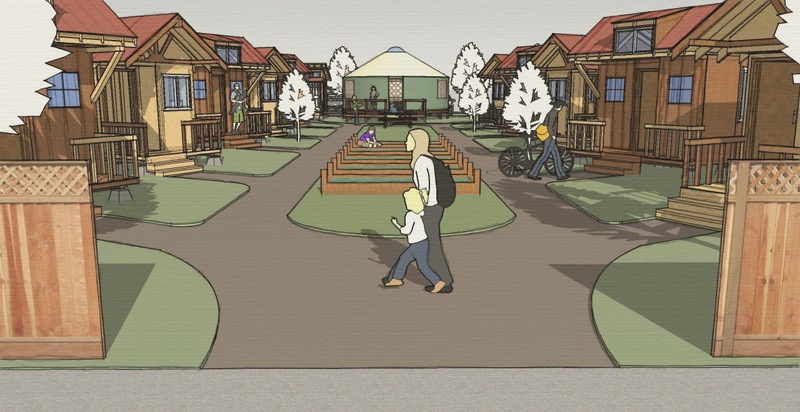 I say this because these are the very models I stumbled upon in researching an affordable housing model for the tiny house community I’m currently working on, Emerald Village (see the Project Overview here). Shared equity homeownership offers a viable alternative to the two common choices of traditional ownership and renting. It includes community land trusts (CLTs), limited equity cooperatives (LECs), and CLT-LEC Hybrids (tons of information on these models here). Smaller isn’t necessarily cheaper, but if we link it with more innovative ownership models—this is how we can begin to make housing more affordable. "Alberta tiny house co-op faces 'speed bumps' but founder not giving up yet"
It turns out Ashley Baptiste wasn’t the only person excited about creating Alberta’s first tiny house community on a peaceful property east of Calgary. After posting an ad online more than two months ago, pitching the idea of a small home co-op on his 1.6-hectare property and asking would-be homeowners to get in touch, Baptiste was swamped with nearly 500 phone calls and e-mails. But, Baptiste said bylaws and zoning rules within Wheatland County, the municipal district where his land lies, could force an army of tiny home enthusiasts to move elsewhere. Baptiste envisions renting out tiny plots on his land, lovingly named ‘Serenity Acres’. He wants to establish a community of a few small homes where families embrace a simpler lifestyle, neighbours know each other, and food is grown in a communal garden. “We got responses from all walks of life,” Baptiste said.